Interesting trends appear in these results: Attendees overwhelmingly singled out the cocktail offerings as their favorite sips over wine and beer options, and classic flavors like beef and chocolate seemed to win the day. 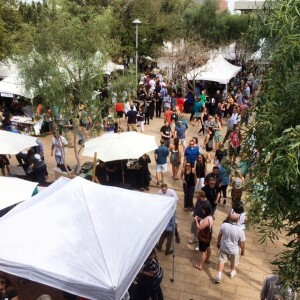 The Devoured Culinary Classic, the region’s premier week long annual culinary celebration, is presented by Local First Arizona, Devour Phoenix, Phoenix Art Museum, and Southern Arizona Arts & Cultural Alliance. 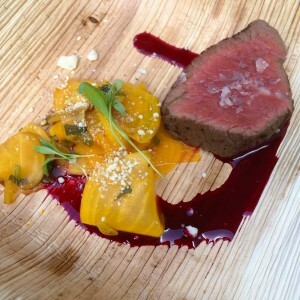 The goal of the events are to showcase celebrity culinary talent, the fine food and drink producers and purveyors of Arizona while furthering metro Phoenix as a dining destination worthy of international prestige. More information can be found at devouredphoenix.com. Phoenix is a city-wide, non-profit coalition of select, independent restaurants operating under the Local First Arizona umbrella. Devour Phoenix is working to maintain a forum for sharing ideas, purchasing power, and marketing dollars to advance dining in the Phoenix area; create an image for Phoenix that is a respected destination for dining and culinary exploration; share resources to strengthen and grow restaurants in Phoenix; manage and host events such as culinary festivals and restaurant crawls that will strengthen business and build awareness for all Phoenix restaurants and identify and encourage the use of local agriculture and local artisans as a means for increasing sustainability in the region. Southern Arizona Arts and Cultural Alliance (SAACA) is a not-for-profit organization that exists to ensure that, through engagement in arts and culture, our communities produce strong, inspired citizens. SAACA enlists artists, businesses, governments, and individuals to expand artistic and cultural opportunities in their respective communities. To enhance access to the arts and to promote cultural awareness in the communities it serves, SAACA presents large-scale festivals, events and other programs. The Alliance also promotes educational opportunities in the arts and culture for all ages.